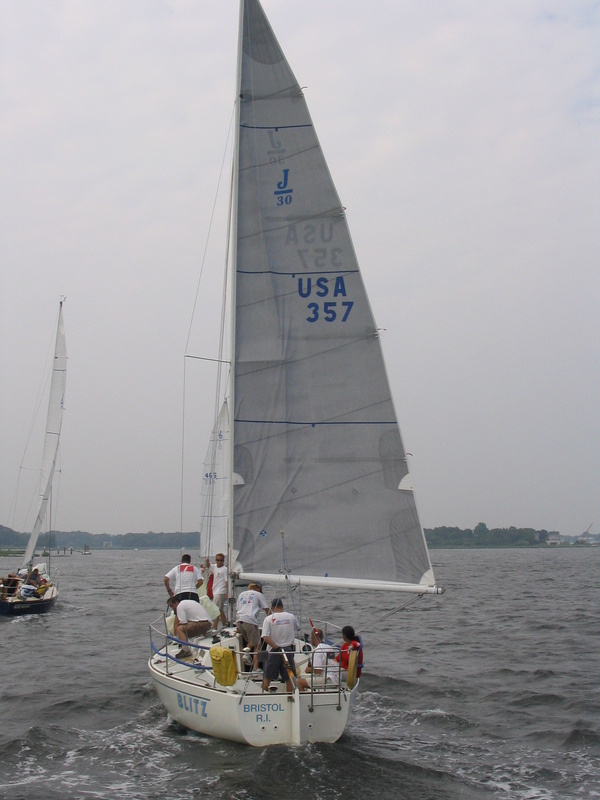 Register Log In J/30 Class Association Forums The Boat, Sails and Equipment best replacement batteries? At the end of the season last year, I came to the conclusion that it is time to replace the batteries in Conundrum. Can everyone chime in on what type or brand of battery they like the best? I'm not sure if I should go lighter, gel cell, some other direction, or just go with a tried and true sealed, lead acid battery. What are everyone's thoughts? I have 2 conventional lead acid batteries. Both identical marine deep cycle form Interstate. I do not have a battery charger on board other than the alternator on the engine. When I had Rhapsody I bought two Group 24 sealed Lead Acid batteries from Walmart for $70 each. I replaced them after 7 years, because I thought it was a good idea, not that there was a sign they were loosing capacity. I had a Xantrex smart charger (Dual 10 amp) that was connected on the dock. When I sailed the boat I used battery 1 on odd days and battery 2 on even days to get equal usage out of them. Similar to Russ when night sailing I swapped to the other battery and started the engine to charge (then battery switch placed on all). I left the batteries on the boat in the winter but stopped by once a month to top them off with the battery charger. If the batteries discharge the electrolyte will freeze and crack the case. I bought two Duracell AGM group 24 batteries from Batteries+ for about $198 each. The Optima yellow top batteries lasted about 8 years. Life on a trickle charger is good. Last edited by Rob Van Name; 03/11/19 07:31 PM. One of the best IMO is Odyssey Battery which used to be available as Sears DieHard Platinum. Odyssey states a 3-10 year service life. As I am on year 13 on the battery I use most often, I'll be sure to eventually replace it with the same.